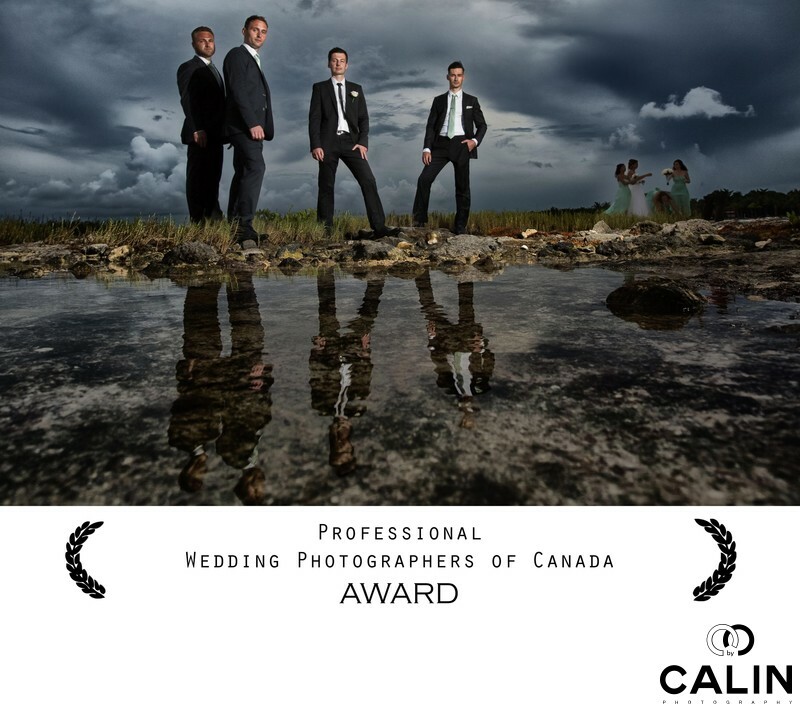 Here are the top 20 wedding photography industry trends in Canada and the US. Brides want to enjoy their special day so they often book a photo shoot before their big day. Want to know the best part? They even buy a wedding gown for the shoot. While this started as a trend in the Chinese and South Asian marriages, it is catching up rapidly in western nuptials. 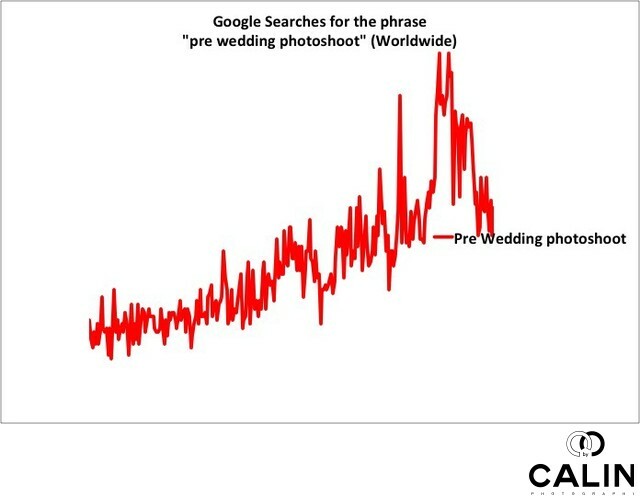 Chart 1 (above): Bride and Grooms searches for Pre Wedding Photo shoots increased in the last 5 years. Interestingly, the Chinese spend up to 25% of their budget on a pre wedding photo shoot that features several dresses, makeup and hair styles. Often the couples fly to Paris, London, and other famous destinations to do a high-end fashion kind of shoot. In Toronto and Vancouver, the recent influx of Chinese immigrants is shaping the wedding photography industry and I see this becoming mainstream in the future. The pre wedding photo shoots become elaborate productions that cost tens of thousands of dollars. 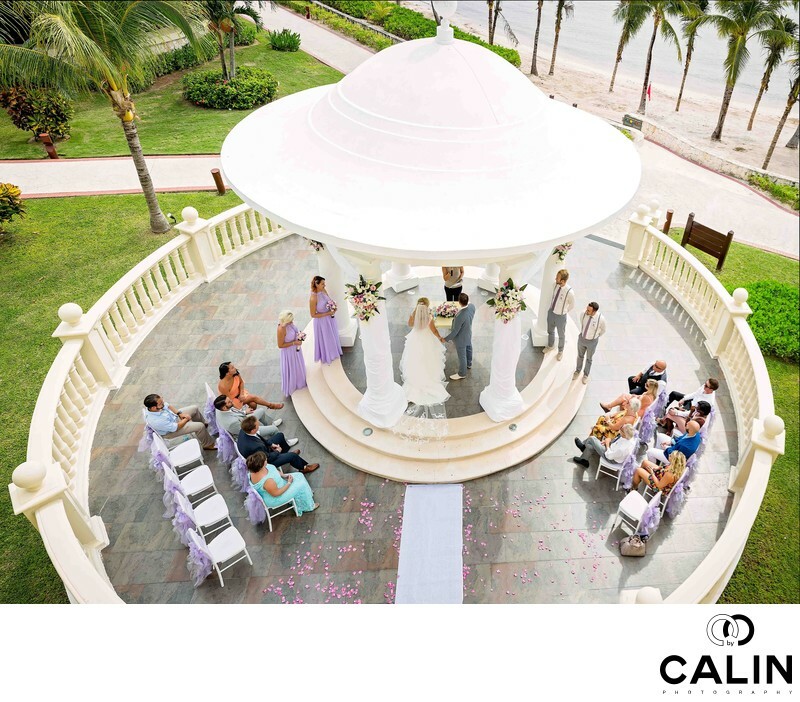 In the last 12 months many couples have inquired about destination elopements. This is confirmed by the rapid ascent of the number of Google searches for the term "elopement" in the past five years. 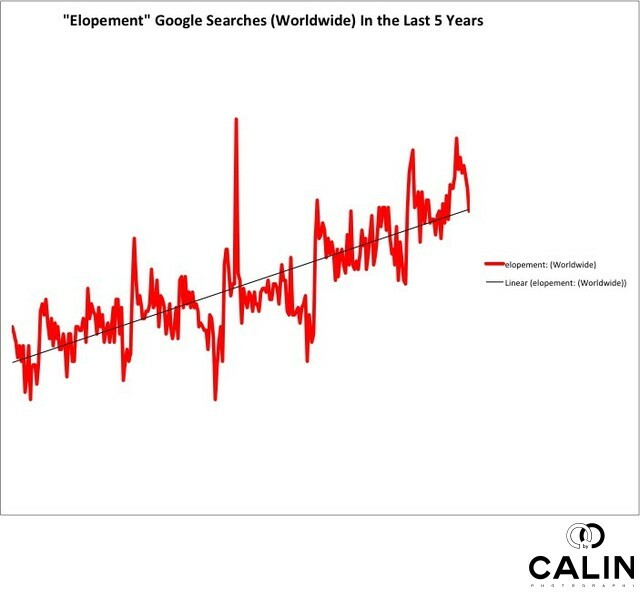 Chart 2 (above): Google Searches for the term "Elopement" increased in the last 5 years. The chart above shows the rising trend in the following countries: United States, Australia, Canada, New Zealand and Ireland. Couples want photographers to capture their guests' reactions and not the latest iPhone models covering their faces. As such, I often see the DJ or officiant requesting that the guests do not use cameras during the wedding ceremony. What's the bottom line? Enjoy the ceremony and take all the selfies you want later. 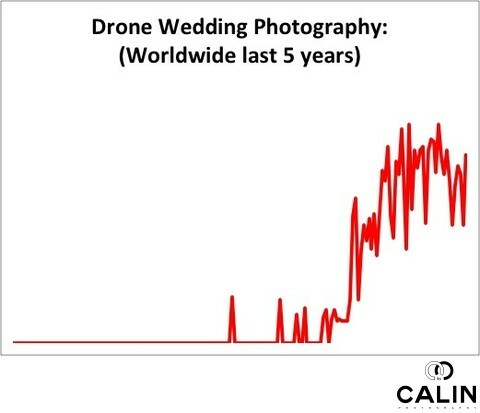 While in many cities in US and Canada drones usage is strictly regulated (Toronto is one of them), more and more couples bring their own drone on the wedding day, especially on destination marriages and elopements. Also, rustic weddings in remote areas are the perfect setting for dramatic drone shots. Many couples ask about the possibility of offering a same day slideshow with images form the photo shoot. Do you want to know the best part? Once we discuss this during our initial consultation, my couples realize they don't want us to miss moments while processing the photos for the same day slideshow. Now, what will you want in 30 years? To see a photo of your grandmother crying at your wedding or have a slideshow with 30 partially edited images run during the reception? Do You like this article so far? Make sure you read the article Top 20 Wedding Trends (with charts) for more insights about the wedding industry. Next day teasers are also something my couples desire. We are talking about 10-20 edited wedding pictures that couples share on social media and I can definitely include the service in my top package. Long gone are the days when the wedding party was looking at the camera, you know, the deer in the headlights shot. 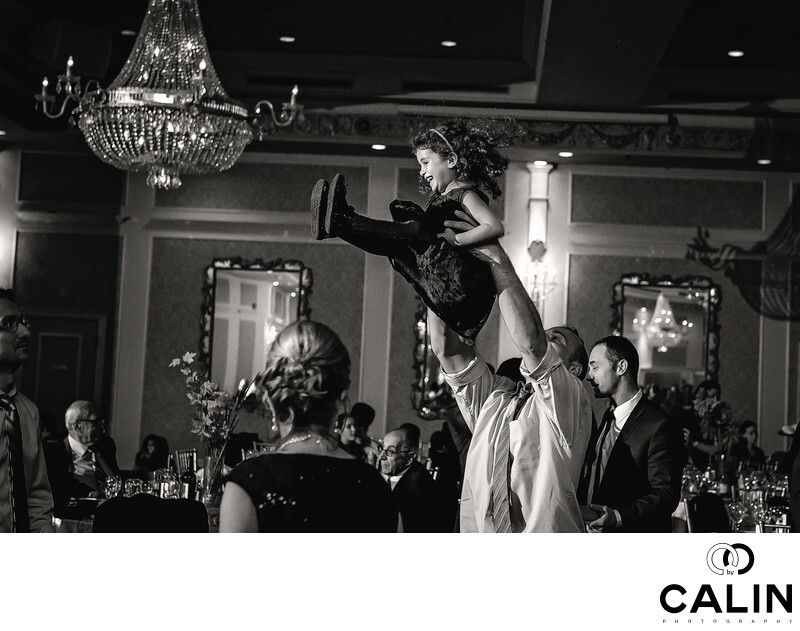 These days the wedding party wants fun, original, entertaining images. But wait as it gets better! 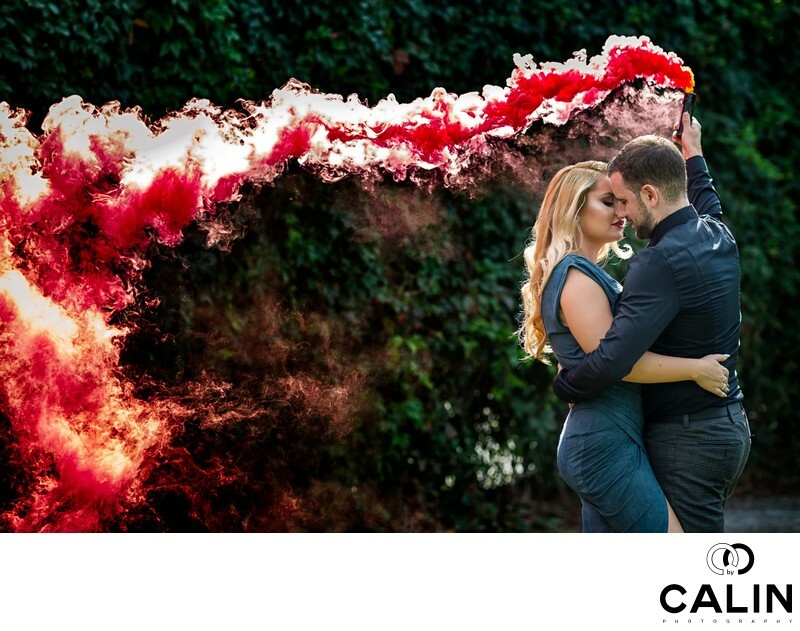 To keep the wedding party entertained and add colour to the engagement or your wedding album, I always bring smoke bombs to the photo shoot. You know the best thing? 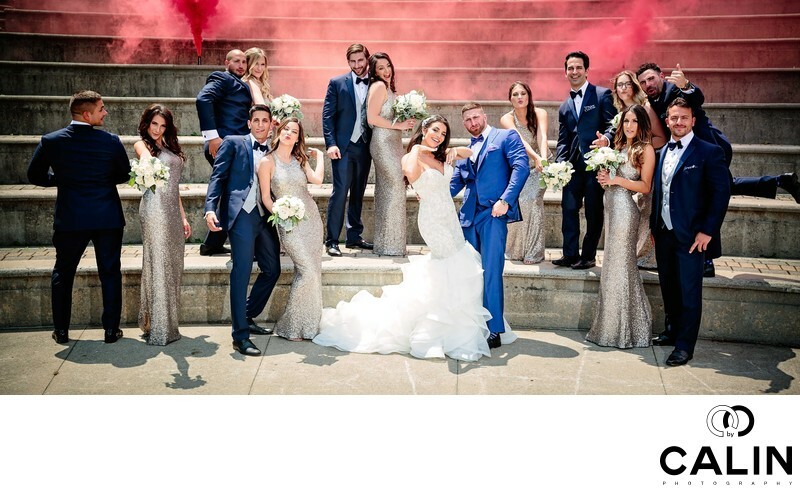 Smoke bombs helped me capture amazing candid photography my couples absolutely loved! While in the past wedding couples were fine with posed shots, things have changed. Today's bride wants candid photography and photojournalism (pure or assisted) becomes mainstream. Here is the secret: 70-80% of my photos are candid and I notice that in many photographers' portfolios. Here is the kicker! Can you believe in the past photographers would pose couples even during the wedding ceremonies? Closely related to the previous trend, couples with larger budgets have engagement shoots in places like Iceland, Death Valley (US) or Santorini (Grece). Here is more info on recent trends and facts about engagement photos. I had several US couples who flew to Toronto to have their multi day engagement photo shoot at some popular locations in the GTA. Here is a secret! I recently switched from Canon to Fuji and I never looked back. Now, this is the crazy part: the small mirrorless cameras are so good and unobtrusive that I get way more candid photos than ever before. Kids and guests rarely notice me when I shoot with my Fuji and I catch the best candid moments. To preserve the photojournalistic feel of the images, I usually apply a black and white processing. I even saw an entire photographer's portfolio composed of black and white wedding pictures. Couples don't care so much about the elaborate wedding cakes and feather centrepieces and prefer multi day engagement shoots in dramatic locations. In Toronto, such places are Scarborough bluffs, Polson Pier, etc. For more affluent couples, Iceland, Paris and Italy are destinations that boast splendid backdrops. Many professionals will tell you that the brides care more about their wedding gown than her album. I even have couples who never picked up their wedding album once they got their high resolution images on a USB memory stick. 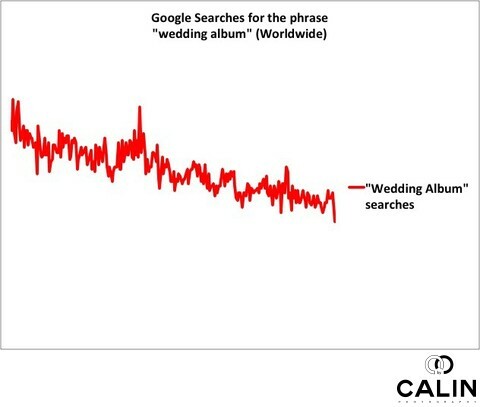 Chart 3 (above): Google Searches for the term "wedding album" dropped dramatically in the last 5 years. 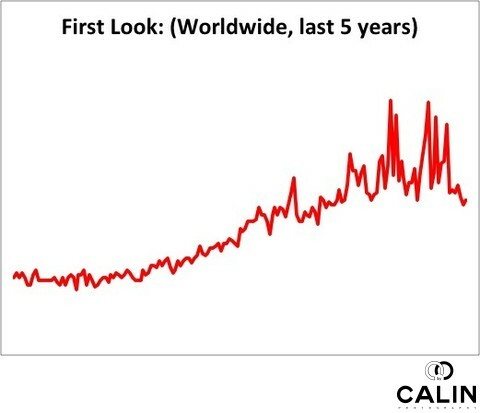 You can see this in the chart above showing the drop in the "wedding album" search term in the last five years. US is the 16th country in the world for google "wedding album" searches. Canada follows on the 17th place. I even give my couples the name of my Toronto album provider. Here are the top 10 countries where wedding albums are still important. The first look is a great opportunity for me to capture candid photos of the bride and groom before the wedding ceremony. You know something? Often those shots end up being the ones my couples love the most. One of the latest new trends is the father daughter first look. Because brides take good care of their dresses before the ceremony, most of the time the unveiling happens indoors. Even more important than the pictures, the first look allows couples to spend time together on the best day of their lives. Here is the secret on how to have a perfect special day: keep it simple and fun and don't worry about protocols and ancient traditions. Recently I did a Catholic ceremony where the groom walked down the aisle on the rhythm of "I Feel Good!" Along the same line, photo booths are becoming omnipresent during wedding receptions. Do you know the best part? Photo booths are amazing opportunities for us to take candid photos of your guests! In the past, it was the parents buying everything from the wedding dress to professional photography. You know something? Those days are over! The modern bride wants to be in control and make sure she likes what she buys. New original ideas win couples' hearts. Lately I noticed brides asking for a list of original concepts. You know the secret? Nobody wants cookie cutter shots that make your wedding look like everyone else's. Film processing is one of the latest trends. Here is the kicker: the beauty of filmic images (either colour or black and white) they are timeless. Images processed to look like film are classic and have "soul." Here is my promise: fifty years from now, you will still love your pictures they will look amazing. Wedding photographers' role is more important than ever. Because my couples book me one or even two years before their event, I help brides and grooms plan their big day from choosing a stunning wedding dress to finding various vendors and photography locations. It gets better! 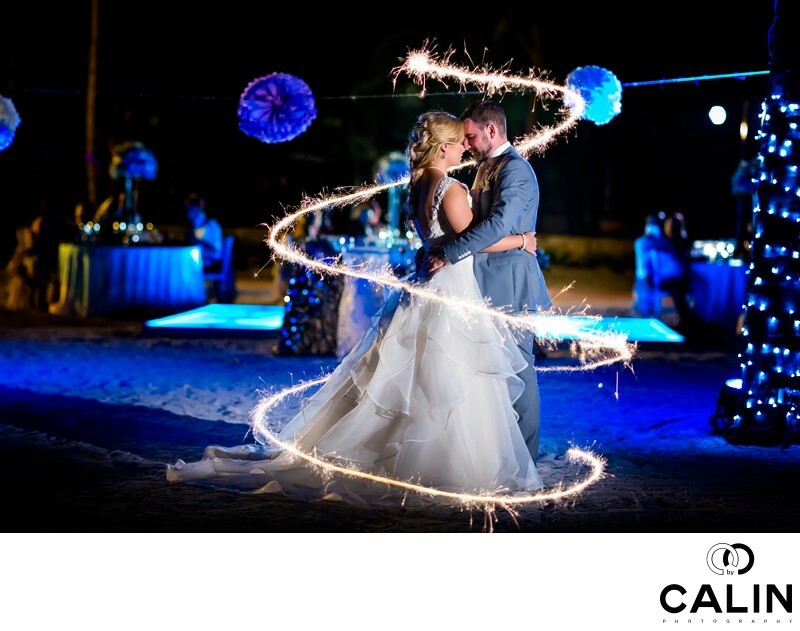 With their huge experience, professional photographers are instrumental in finalizing the wedding day itinerary. This is crazy but I even heard of photographers choosing the cakes for the wedding couples! Social media has a massive impact on wedding photography, from finding a photographer, to sharing the images. Recently, quite a few couples hired me through social media. Do you see how huge this is? These days, brides become familiar with photographer portfolios and style via social media. Also, most couples have their own hashtag and ask guests to publish images using the #bridegroom hashtag. Brides and grooms are extremely well informed when it comes to wedding photography and social media is becoming more important than ever. Selfies with the bride and the infamous selfie stick are one of the latest trends in the industry. Both the bridal party and guests become "professional photographers" during the big day with the help of selfie sticks and cell phones. In conclusion, there are many trends in the wedding photography industry and some will never go away. I am looking at you social media!